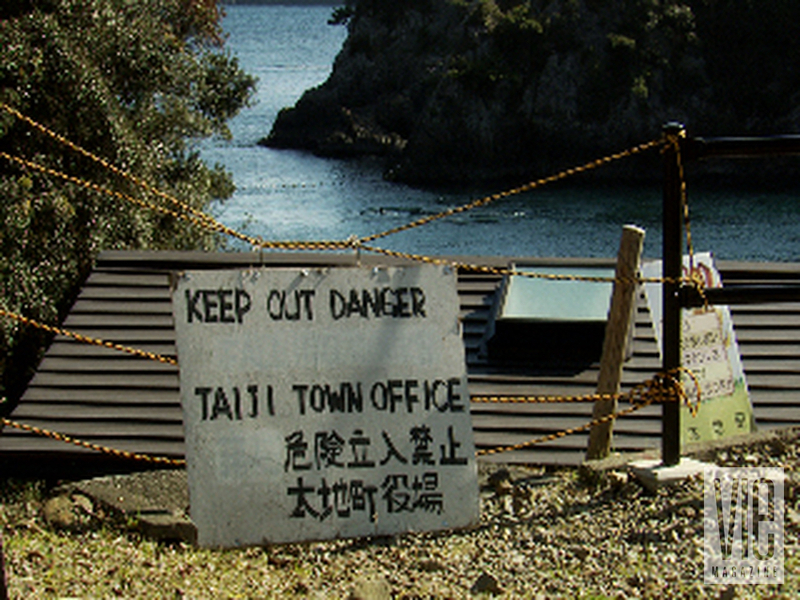 The Japanese government was trying to hush it up, but at the Seaside screening of The Cove in November, Emerald Coast residents joined audiences from the Sundance Film Festival in condemning the secret culture of dolphin slaughter in Taiji, Japan. 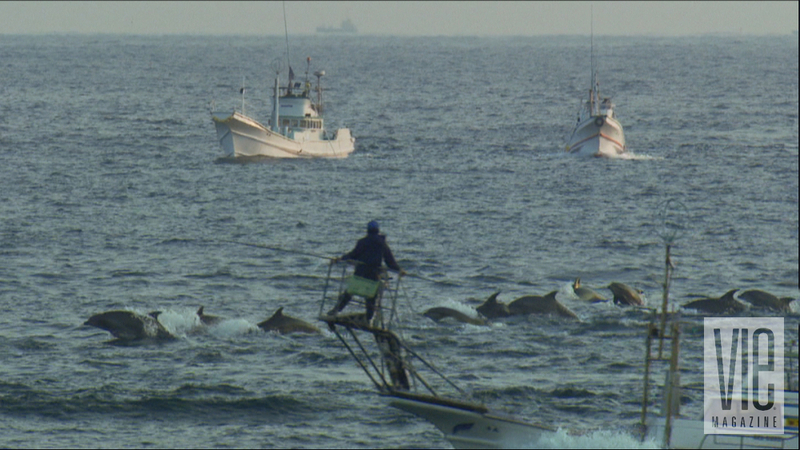 Although the Japanese government had imposed a media blackout on subjects related to dolphins and whales, The Cove reveals a long-standing tradition of illegally butchering more than twenty thousand dolphins per year, and investigates how their meat, contaminated with dangerously high levels of mercury, is sold in grocery stores and served to students in schools. As a result, the local community has joined activists around the world in calling for change. “Torchlight is about expanding the current culture of independent cinema and a contemporary dialogue surrounding that cinema within the nature of the discourse that ensues,” Cohen says. New filmmakers at FSU are educated on how to get their work funded, marketed, and distributed, and how to then recoup the investment. “The Torchlight Program supports Dean Frank Patterson of the College of Motion Picture Arts by educating students in the business of art,” states Cohen. The director of this film, Louie Psihoyos, was at the Seaside screening. He is new to filmmaking, but is a longtime world-renowned nature photographer. He formed the Oceanic Preservation Society (OPS), “a non-profit organization that provides an exclusive lens for the public and media to observe the beauty as well as the destruction of the oceans, while motivating change.” He says the film happened organically—his kids were watching too much TV, so he cut the cables and decided he wanted to make a movie for them. Dolphin hunters off the coast of Taiji, Japan kill about 2300 dolphins yearly by driving dolphins ashore using underwater sound. The dolphin drive, as it is called, is financed primarily through the captive dolphin industry which pays dearly for trained dolphins. The filmmakers were constantly tailed, threatened, and diverted from their task, so they had to go in like military special operations forces to plant cameras on cliff faces and microphones underwater. Though the subject is dark, it is delivered in a beautiful format. Their efforts have paid off in many ways, including awards from around the world. As of this writing, The Cove is on the short list for an Oscar for Best Documentary (the top fifteen in the category, selected from three thousand). Since the Academy Awards show is the number-one most watched program in Japan, a win could bring awareness to the Japanese public, as well as the whole world. Gina Papabeis is a former student of Cohen’s who now works with Psihoyos at OPS. She was also on hand at Seaside to assist with the screening of The Cove. She has seen the impact of the excitement from interning with Cohen and has seen the film school grow exponentially; and now with OPS, she sees the same drive and resourcefulness at work. She says she is happy to be working with “people trying to fix the problems,” not just documenting them. 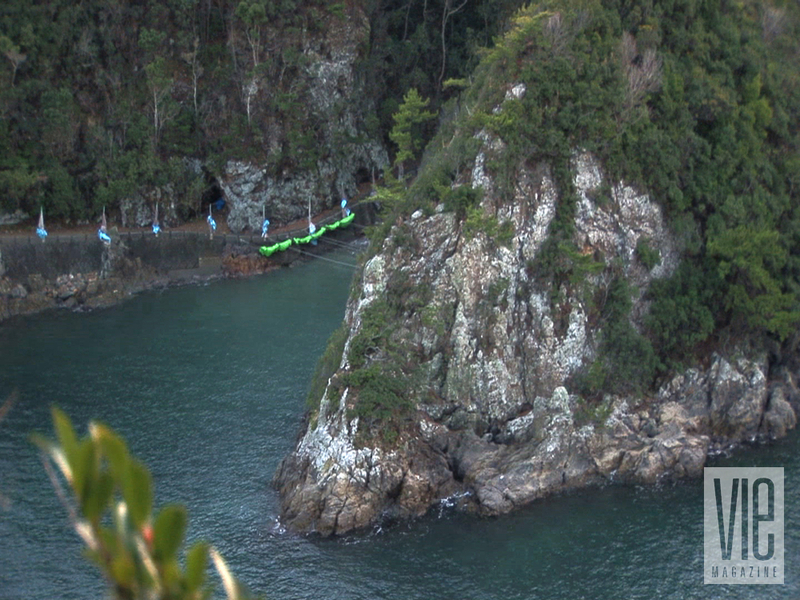 The Cove in Taiji, Japan tucked away in a National Park is a natural fortress and the site of the largest slaughter of dolphins in the world. Charles Hambleton (my cousin) was director of Clandestine Operations for this film. 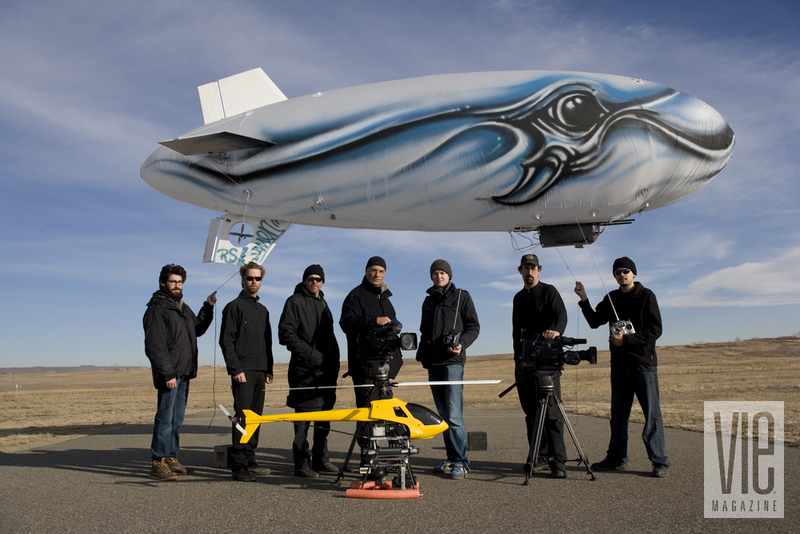 He has a colorful background—Psihoyos describes Charles as a true pirate—but it’s that background that gave him the skills and mindset to help secretly capture the movie’s footage and bring it to reality. (He has been the sail master for The Pirates of the Caribbean movies, worked with a treasure hunter, played in a well-known touring band, and assisted Psihoyos on photo shoots for many years.) My family is very proud of all the good that Charles has accomplished in helping to film and promote The Cove. Charles says that the movie’s underlying story of redemption for Ric O’Barry—the original Flipper dolphin trainer—is one of the most important aspects of The Cove. “Ric realized that captivity of free-ranging, sentient beings, kept in tiny tanks, doing stupid human tricks in a state of controlled starvation, doesn’t work. There’s nothing educational about it—it’s really a case of miseducation.” The final scene in the film shows O’Barry standing alone, but making a difference. 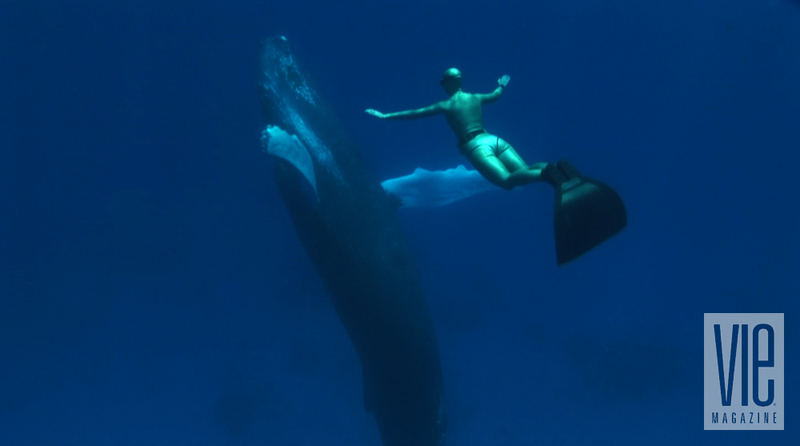 Eight time world-champion freediver Mandy Rae Cruickshank dives with a humpback whale that befreinded her during the filming of the documentary, The Cove. Robert and Daryl Davis, the founders of Seaside, were also at the screening of The Cove. Robert Davis said he was so inspired by the film that he signed petitions on the film’s website (www.thecovemovie.com). Now, when dining out, Davis checks the Monterey Bay Aquarium website, which Psihoyos directed us to, to make sure that what he eats is sustainable and low in mercury. (The website is at www.montereybayaquarium.org. The aquarium also has an iPhone app for checking your seafood’s safety.) Davis also says he is “gratified that Paul Cohen has zeroed in on Seaside for the more controversial films in the Torchlight Series,” as he feels his community is very open to the thoughtful dialogue that can ensue from such films. The killing of some dolphins has temporarily stopped at the cove. 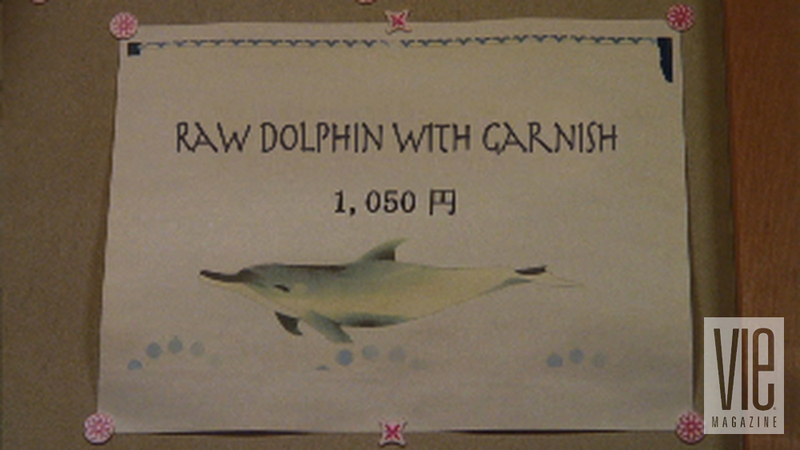 Dolphin meat is no longer sent to school systems all over Japan. 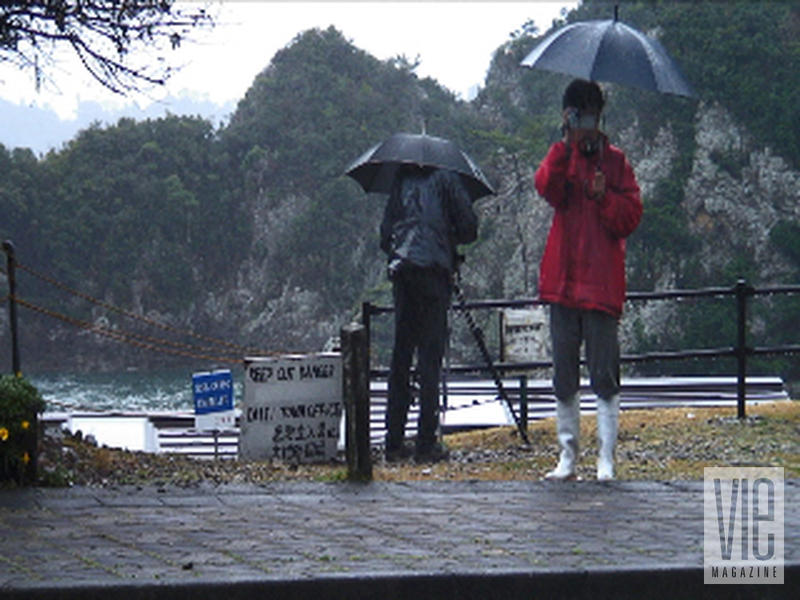 All the residents of the town of Taiji were ordered to be tested for mercury. They tested ten times higher than the average Japanese, who, in turn, test ten times higher than the average human. Action groups have sprung up globally. The media blackout on all whale and dolphin stories in Japan has ended. 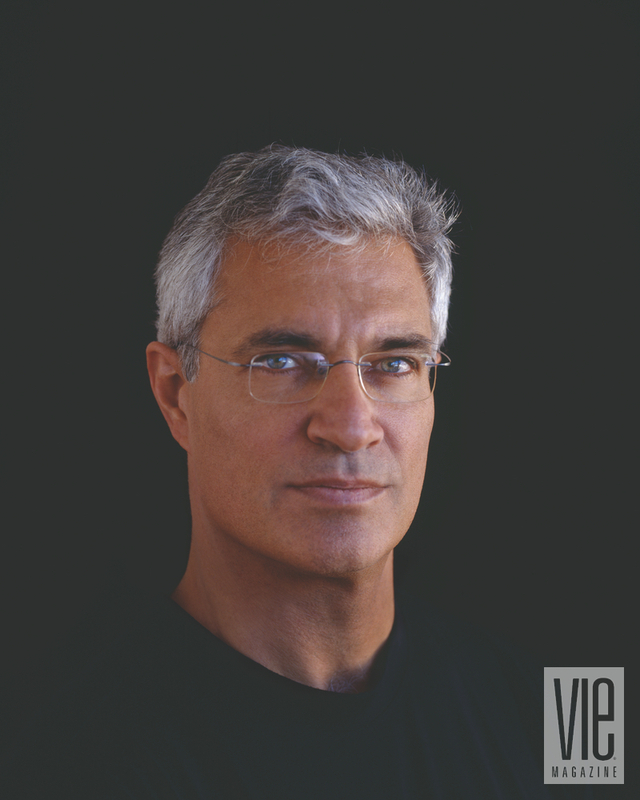 The Oceanic Preservation Society Director of The Cove, Louie Psihoyos, meets with artists from Industrial Light and Magic, a.k.a. 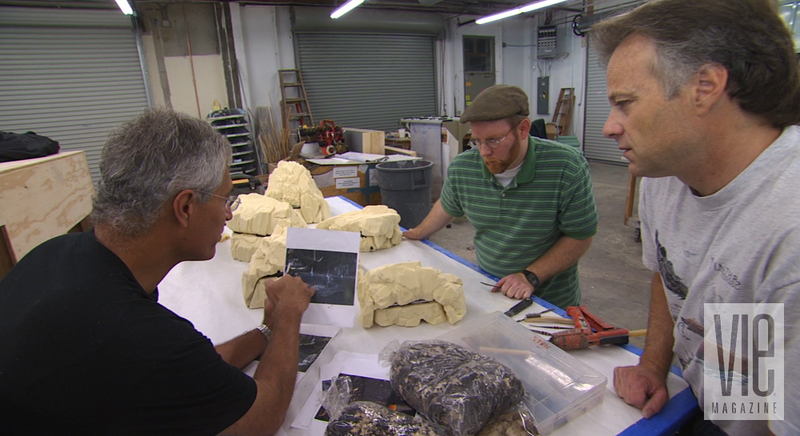 Kerner Optical, who made fake rocks that concealed high definition cameras to capture the atrocities of the secret cove. As I write this piece, Louie Psihoyos is busy accepting such awards as the Critics’ Choice Award from the Broadcast Film Critics Association on VH1, and Paul Cohen is on his way to Sundance 2010 to find the newest films to bring to Cinema 30-A. To stay updated on upcoming film events, check www.torchlightfilmseries.com. Libbie Hambleton is a freelance writer living in Destin, Florida. She is a Certified Biofeedback Therapist, and also a Corporate Marketing Representative for WUWF Public Media. She can be reached at Libbie@wuwf.org. 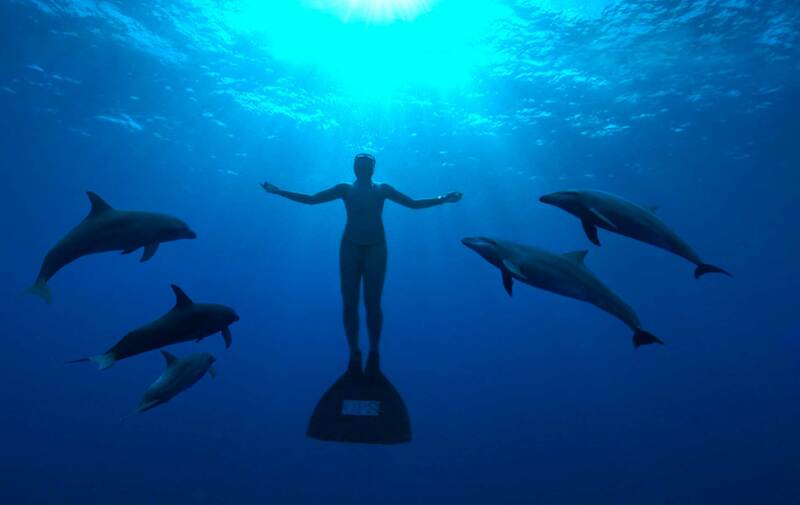 On February 2, The Cove was nominated in the category of Best Documentary Feature Film for the 2010 Oscars. Winners will be announced during the 82nd Oscar Awards Night on March 7, 2010. Director discusses The Cove from VIE Magazine on Vimeo.